THE CURSE OF LA LLORONA delivers an Easter surprise, taking the top of the Box Office with $24.6 million from 3,372 theatres for Warner Bros. The James Wan production gets 34% on the Tomatometer and a B- CinemaScore. In second is SHAZAM! with $17.2 million week three for Warner Bros. after two weeks on-top. BREAKTHROUGH debuts in third spot with $11 million after a Wednesday opening in 2,824 theatres. The 20th Century Fox release gets a decent 64% on the Tomatometer and an A CinemaScore. 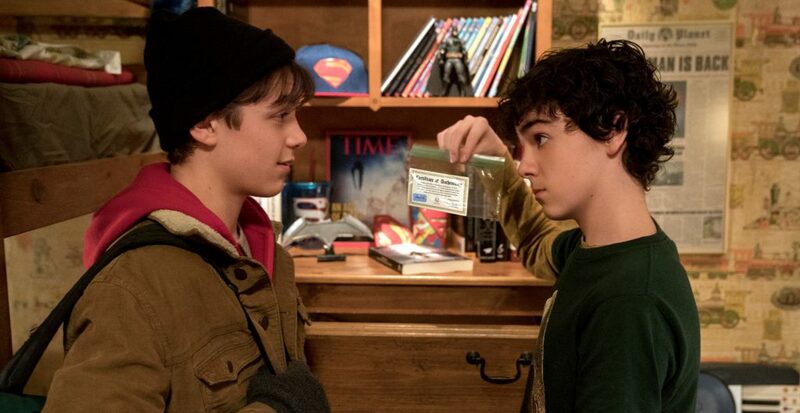 In fifth is LITTLE with $6.8 million in its second week out for Universal Pictures. Rounding-out the Top Ten is MISSING LINK with $3.9 million in week two for United Artists Releasing/Elevation Pictures. SHAZAM! prevails a second straight week, taking top spot at the Box Office with $23.4 million from 4,306 theatres for Warner Bros. Over two weeks it has made $93.1 million domestically, nearly recovering its $100 million production budget. Debuting in second is LITTLE for Universal Pictures with $14.9 million from 2,667 theatres. It gets 50% on the Tomatometer and a B+ CinemaScore. In third is the Reboot of HELLBOY $12.3 million from 3,303 theatres for VVS Films/Lionsgate Films. It gets 15% on the Tomatometer and a C CinemaScore. Fourth spot goes to PET SEMATARY with $9.4 million from 3,585 theatres in its second week. It surpasses $40 million in its North American run for Paramount Pictures. AFTER exceeds industry estimates of $5 million, debuting in sixth with $7 million from 2,138 theatres for VVS Films/Avion Pictures. The adaptation of Anna Todd‘s wildly-popular Young Adult novel, gets 13% on the Tomatometer and a B CinemaScore. MISSING LINK opens in ninth spot with $5.8 million from 3,413 theatres for Elevation Pictures/United Artists Releasing. The latest Laika creation gets a great 88% on the Tomatometer and a B+ CinemaScore. BEST OF ENEMIES rounds-out the Top Ten with $1.9 million for Elevation Pictures/STX Entertainment, a two-week tally of $8 million. To enter to win, click “like” on this Post at MR. WILL ON FACEBOOK and indicate your City! Re-Tweet this Tweet from @mrwillw for an extra chance! 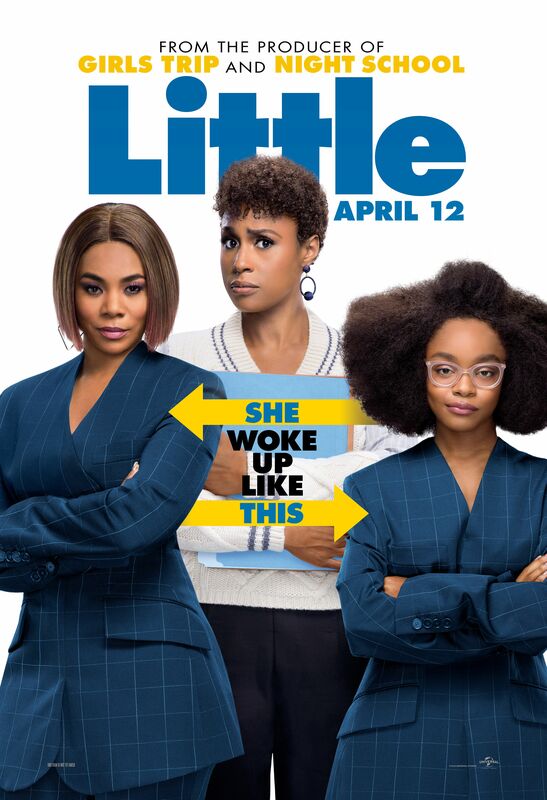 LITTLE is in theatres Friday, April 12, 2019!